Discussion in 'Support' started by calin, Apr 10, 2013. It was brought to the public’s awareness in Norman Cousins’ memoir Anatomy of an Illness. Cousins found that comedies, like those of the Marx Brothers, helped him feel better and get some pain-free sleep. That’s because laughter helps the pituitary gland release its own pain-suppressing opiates. So let’s laugh. What makes you laugh? Tell us your favorite funny movie, or how about a good joke? I have cats. There are many cat avatars here. 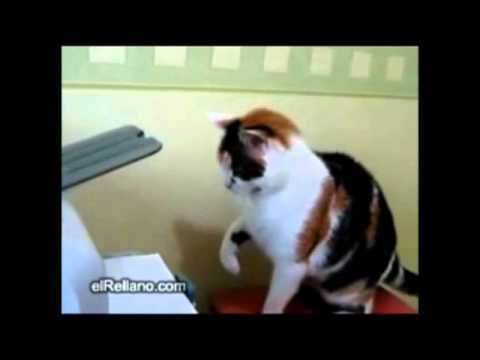 So I'll start with a YT video with a cat! (warning - language may offend someone) This has almost 8 million views! Please share with a YT vid or jokes. !!!! I likewise have cats (three Siamese, one calico) and a standard poodle and a lab mix! Anyway, this dancing poodle is hilarious. 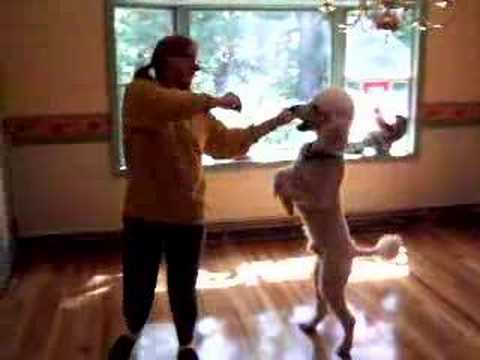 Wish I could get my poodle to dance--all he wants to do is jump and fetch! Suggestions for Best Pair of Ear Muffs? On Amazon? Best Antidepressants with Least Side Effects on Tinnitus? What Are the Best Supplements to Improve Vision (Color Enhancement or Sharpness) and/or Visual Snow?